Crop producers in Western Canada only get paid when they deliver their grain, but since late 2017 there haven’t been enough rail cars available to move their crops, due to a range of factors. While the situation is improving, many logistical challenges remain. This has led to a dire cash-flow situation for many Prairie farmers. CFA worked hard alongside of its western provincial members and other groups to lobby parliamentarians to pass Bill C-49 with several important amendments. Our collective efforts were a success. Bill C-49 received Royal Assent on May 28, 2018!! CFA worked hard to advance this issue on many fronts. Our executives met with Cabinet ministers and other parliamentarians, gave formal presentations at parliamentary committees, and submitted discussion papers as part of the government’s most recent consultation process. CFA also worked through the government-supported Crop Logistics Working Group to monitor developments and provide recommendations for renewing transportation systems. On Bill C-49: All parliamentarians should work together to expedite the legislative process and pass the Bill, with key amendments that would authorize more oversight by the Canadian Transportation Agency. The federal government should consult with farm organizations to identify short-term measures to offer support during the interim period, as farmers await changes to come from enacting Bill C-49. Undertake a full costing review of railway costs to ensure the Maximum Revenue Entitlement is accurate and fair for both producers and shippers. Government must ensure necessary infrastructure funding to create an efficient and reliable grain transportation system in Canada. A comprehensive export strategy is needed to rebuild damaged trade relationships and ensure consistent delivery of grain. 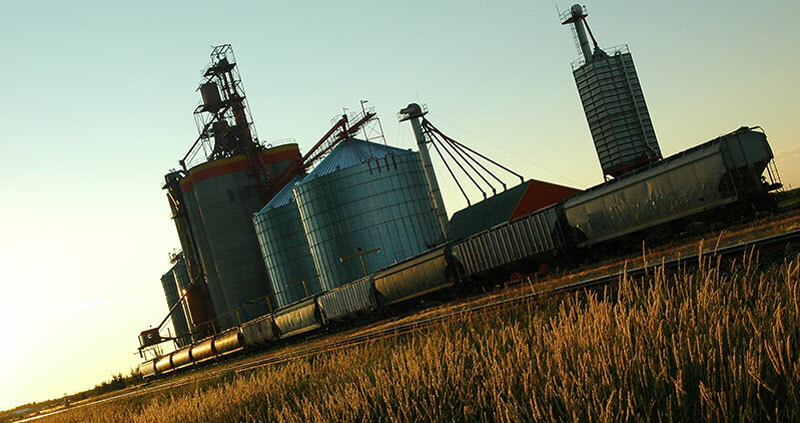 Rail transportation costs represent one of the highest expenses for western grain farmers – upwards of 35% of their total costs are allocated to transportation. The 2013-14 transportation crisis resulted in an estimated loss of $6.5 billion due to an inability to transport grain to export markets in a timely fashion. The most recent costing review of railway costs was conducted in 1992. During the crop years 2013-14, an inability to transport grain to export markets in a timely fashion resulted in an estimated loss of $6.5 billion. In response to this crisis, the government passed emergency measures under Bill C-30, which helped to alleviate problems and introduced effective ways to improve competitiveness. Key among these was the expansion of the regulated interswitching limit to 160 kms from 30 kms, and the ability for shippers to be “directly compensated for any expenses” incurred if railways fail to meet level-of-service obligations under the Canada Transportation Act. The eventual phase-out of the MRE program over the next seven years. Allowing the increased interswitching range to sunset and return to 30 kms. Farmers are concerned that these recommendations will give an unfair advantage to the rail companies, as the vast majority of farmers only have access to one freight provider making them vulnerable to monopolistic practices. Markets and demand for Canadian grain will continue to grow, especially in the pacific Rim. It is vital that we improve handling and logistics systems, and that we ensure infrastructure capacity is in place to meet these demands. Read CFA’s issue brief on grain transportation (published April 2017).